Our proximity to the open ocean provides access to the world’s finest fish resources year round. Vesteraalens AS is a innovative seafood and marine ingredients company located by one of the world’s richest fishing fields in northern Norway. Our headquarter is located in the city of Sortland in the northern part of Norway. In addition to this we have an sales office in Shanghai, China. We produce a wide variety of seafood products and marine ingredients. Our client base is spread all over the world including North-America, Europe and Asia. Vesteraalens mission is to, through an extensive network of partners, build the world leading value chain for white fish. Our cooperation stretches from tight partnership with the fishing vessels, through the receiving stations and all the way to formulation work and design of finished consumer products together with our customers. We build our business on harvesting carefully resources from the arctic waters in our region. Being dependent on nature, we are committed to harvest in a sustainable way and utilize the potential of our resources. Vesteraalens delivers all products under the certification requirements from MSC (Marine Stewardship Council) and FOS (Friend of the Sea). Visit our English seafood website? Visit our Norwegian seafood website? The tale of Vesteraalens’ adventure begins in 1912. 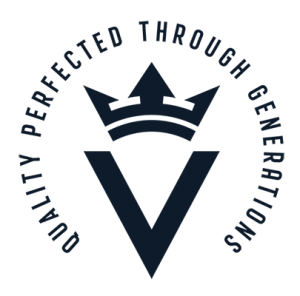 Throughout all these years, Vesteraalens has produced seafood products of superior quality. The iconic green-labelled can containing fish balls has been the company’s flagship product, loved by Norwegians for more than a century. In 1917, Vesteraalens was contacted by the famous Arctic explorer Roald Amundsen, who need food supplies for his polar expedition. Roald Amundsen was a pioneer in understanding the nutrition requirements to be able to survive under harsh conditions. Vesteraalens was commissioned to produce supplies for Roald Amundsen’s expedition through the Arctic Northeast Passage in 1918–1922. Among the most dramatic events in the history of the factory was the fire that began on 12 December 1991, which entailed a shutdown of the factory lasting 15 months. The owner at the time, proposed moving seafood production and establishing it permanently in Sweden, but permission was not granted. Local owners bought the factory, and production was reestablished the 19 March 1993. Today Vesteraalens operates in a new state-of-the art factory of 15.000 square meters. In 2017 Vesteraalens was awarded the number one growth company in Northen Norway. A cross-industry award that financial growth and the ability to innovate and export products internationally. Our company is built upon the marine resources that the ocean provides us with. We only work with partners certified with the Marine Stewardship Council (MSC). 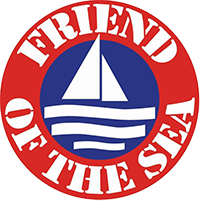 Our ingredient products are all MSC and “Friends of the Sea” certified. For Vesteraalens, sustainability is more then just harvesting sustainable fish species. With a rapid growing population in the world that will need healthy food, we strongly believe that you should not use fish meat as the source for ingredients. We only uses parts of the fish not requested for direct human consumption as the base for our ingredient products. Through strategic cooperation with selected partners, Vesteraalens shall establish the world’s leading value chain for cod and other white fish. Vesteraalens must satisfy demanding customers’ craving for seafood of optimal quality and thorough documentation. The products must be manufactured with a minimum of energy consumption, without artificial additives, and must be traceable throughout the entire value chain, from the catch to the customer. All activity must be based on respect for fishing quotas and regulations that the authorities lay down for fisheries. One general goal is that the entire fish shall be used in edible products and other applications.